Mayfair Theatre, 7pm $10.00 gets into both films. Lots of prizes before the show including the Greendale Comic. Rust Never Sleeps, 1979, Directed by Neil young, 103mins, 1.85, Dolby A, rated PG, original 35mm print, may have some wear. Neil young has directed a number of musical based films including Déjà Vu, Greendale, Human Highway, and Journey Through The Past. 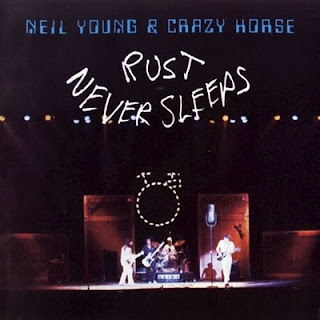 Rust Never Sleeps is generally considered the best pure music film out of the bunch because it’s just Neil and his band playing for 90 minutes (there's a reason Neil Young fans are often called “Rusties”). This film documents a 1978 concert at the Cow Palace in San Francisco. Young's performance and set list really make this film soar, starting with an acoustic set on a 12-string a guitar and moving onto some grungier rock stuff with his backing band Crazy Horse. Young is in top form and the film captures a momentous time period in the history of rock n' roll and Neil Young's career: Punk is in, bloated progressive rock is on the way out, and the 80’s will be a mess, but Neil will make it out alive. Warning: this original print of Rust Never Sleeps includes old film stock, so expect it to be a little rusty around the edges…but still totally watchable. 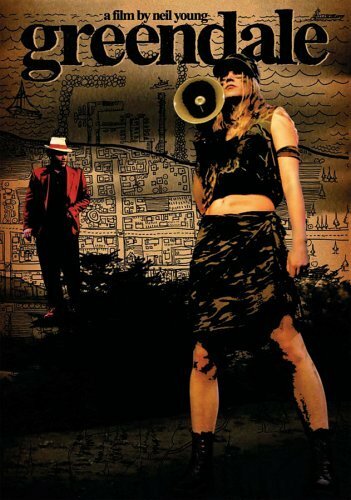 Neil Young's Greendale project involved a concept album and tour captured live in this feature film. It ties together a lot of his artistic preoccupations including the faded idealism of the 60's generation, the crisis of the environment, the personal failings of his flawed protagonists and his hopes for the next generation. Set in the fictional town of Greendale, California, using an interconnected series of vignettes of characters, with their lives and struggles expressed through songs. Rather than following the approach of a traditional stage musical, instead we see actors appear with Neil Young singing for all the characters. The film is also shot in glorious Super-8 film format (the old home-movie format) which adds to the film’s “home made” rough-around-the-edges aesthetic. Greendale is a project that could have easily fallen apart if it had been approached in a heavy-handed manner. However, Neil Young's trademark sly sense of humour, attention to songwriting craft, clever use of the “school play” structure lift this project out of the ordinary. Ambitious and fresh, it proves once again that Neil Young is Canada's superlative songwriter, and not a bad filmmaker either. New title added to 70mm Festival!